Deepcore Drilling offers surface, underground, heli-portable and man-portable drilling services for the hard rock and coal mining industries. We have offices in Australia, Papua New Guinea and the Philippine. 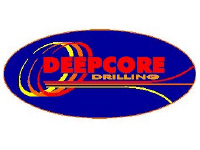 Deepcore Drilling was established in November 2005 after being awarded the diamond drilling contract at Stawell Gold Mine. Since then our organisation has worked hard to achieve significant growth, productivity and customer satisfaction.